Tomorrow my tattoo turns 15, what a time to be alive. I need to be careful of it. If I am the pillar of society I think I am, I can expect my tattoo to start drinking and smoking now. It'll be bringing home girls next. Oh the stress of being a parent. It turns 15 tomorrow but I don't expect it will have changed much in a day. 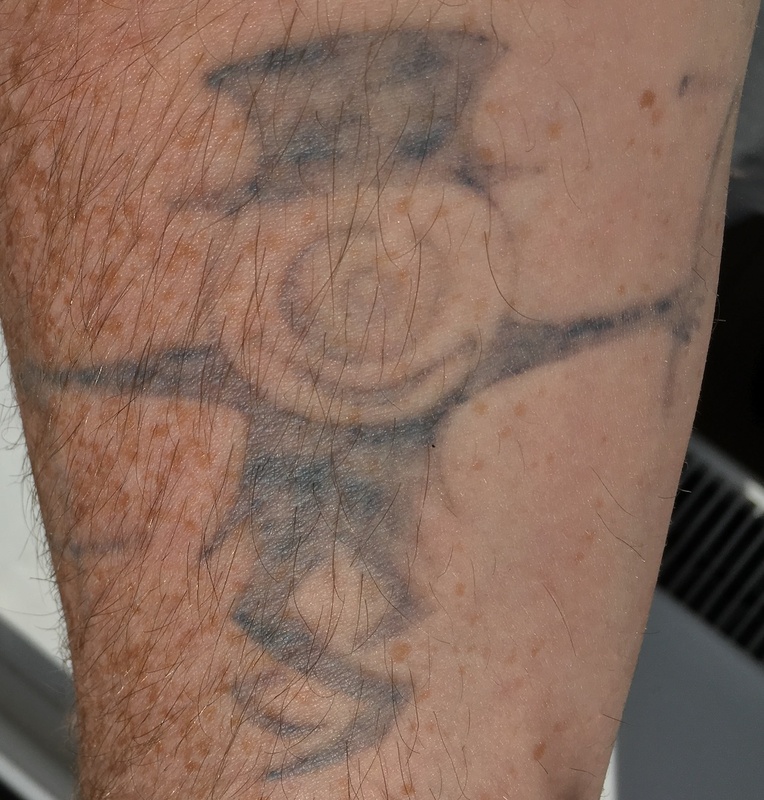 The picture above shows a (nearly) 15 year old black ink tattoo after 4 q-switched and 4 Picosure laser removal sessions. This removal lark really is a slow process. I've talked before how removal is a roller coaster of emotion. At one stage you're optimistic that it's nearly gone, at another you're pessimistic thinking it will never be gone. I'm currently happy with how it's fading but I'm worried it's going to have a 16th birthday next year. I have two more sessions prepaid. I have seen really good fading lately so must try to stay positive.